The Alignment phase is where formal and informal mentoring can part ways, where early conversations about goals, roles and timelines get fleshed out and, in a more formal approach, written down for future assessment and revision. Taking the time early in the mentoring relationship to articulate, align, and document scientific and relational expectations is an investment in developing trust, effective communication and shared goals. Discussions with your mentor should include topics such as compatibility of learning and communication styles, expectations around progress, and intentions of oversight or supervision. The act of articulating and aligning expectations is an important and iterative process. Formal plans should be revisited every 6 months with revisions made to capture current realities and future directions. Consider sharing these expectations in written form with other interested stakeholders such as department chairs or division chiefs. Templates for prompting and capturing key elements of these discussions are provided in sample mentoring compacts. While it is especially critical to begin the alignment process early on in the relationship, expectations must be revised as work progresses and independence grows. In addition, alignment should be seen as providing structured guideposts and milestones which should not be rendered as an inflexible document or used in a punitive manner. Rather, the articulated and documented expectations should instigate iterative conversations that capture current realities and future directions. Role/Functional: These expectations tend to generally apply to all mentoring pairs and generally stand true over time. Relational: These expectations are unique to each relationship and establish ground rules for how each can bring their best and whole selves forward. These expectations change over time as the mentee gains in maturity and experience. Project: These expectations make explicit what specific work will be done, when, and by whom. These expectations change as goals are realized. Each person comes into the mentoring relationship with a unique history, desired future, and mentoring needs. Given the interdependent nature of the mentoring relationship and power dynamic that exists between junior and senior persons, mentees should prepare themselves in advance for the alignment process by articulating a clear understanding of your strengths, areas of growth, and goals. Take advantage of mentoring workshops and learn more about what being a good mentor and mentee means. Talk with your peers, colleagues, and informal mentors to see what their experiences have been and what they suggest are important functions for your mentor to play. Clarify the goals and expectations for your own career and cultivate a capacity for humbly advocating for yourself. Be honest with yourself and know where your passion lies, how you work best and how a mentor can best support you. Use the mentor and mentee expectation documents and your IDP to prompt strategic conversations with your mentor, and when an agreement to work together is reached, collaboratively write a mentoring compact. Tailor the mechanisms you use to your particular personalities and areas of investigation/development. Include both the big-picture impact you want to make, as well as achievable steps for making the shared vision a reality. Regularly discuss if you and your mentor are still in alignment. Edit/revise expectation documents, IDPs and mentoring agreements as expectations shift. 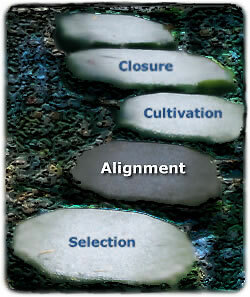 Important: Have you addressed all of the important aspects of the alignment process? Use the Alignment Phase Checklist (PDF) to confirm that you are ready to move forward. Agreements made at the onset of a relationship reflect the best of intentions for the relationship and how things will move forward. As road maps become reality, however, you might find that the relationship is not working out as planned. Mentee and/or mentor dreads attending mentor meetings. Mentor does not find the time to meet as agreed upon. Mentor does not respond to written documents (grants, emails) in a timely manner. Mentee does not follow through on deadlines. Mentee does not feel a sense of belonging within the professional culture. A sense of shared curiosity and teamwork is not present. Mentor does most of the talking and direction-setting during mentoring meetings. Mentor or mentee finds themselves avoiding the other. Consider using a compact to help frame a more structured conversation. If agreement on the way forward cannot be reached, consider formally bringing closure to the relationship. Lee, Janie M., Anzai, Yoshimi, Langlotz, Curtis P. (2006). Mentoring the mentors: Aligning mentor and mentee expectations. Academic Radiology, 13(5), 556. Santoro, N., McGinn, A. P., Cohen, H. W., Kaskel, F., Marantz, P. R., Mulvihill, M., et al. (2010). In it for the long-term: Defining the mentor-protégé relationship in a clinical research training program. Academic Medicine, 85(6), 1067-1072. Huskins et al. (2011). Identifying and Aligning Expectations in the Mentoring Relationship. Journal of Clinical and Translational Science. In press.